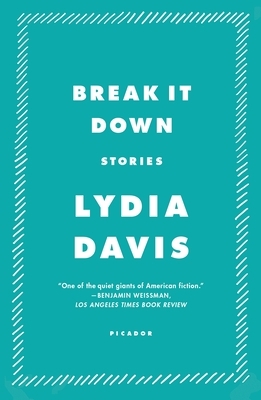 The thirty-four stories in this seminal collection powerfully display what have become Lydia Davis's trademarks—dexterity, brevity, understatement, and surprise. Although the certainty of her prose suggests a world of almost clinical reason and clarity, her characters show us that life, thought, and language are full of disorder. Break It Down is Davis at her best. In the words of Jonathan Franzen, she is "a magician of self-consciousness."